Georgetown is a city of many faces. On one hand, rumours abound of the constantly occurring crimes. Take, for instance, the Guyanese girl who was afraid I would get into the wrong sort of taxi. Or the owner of the guesthouse I stayed, who advised me to carry as few important belongings with me as possible when going out. Even the guidebooks lean this way, suggesting outdoor appearances after dark were dangerous enough to require a taxi for any length of journey. On the other hand, walk around Georgetown and just about everyone is friendly, or at least acknowledging, unlike many other cities. In my time there I received no indication that anyone would try to take anything, only a few weird looks, and the number of people who asked for money was probably in single figures. That´s not to say I wasn´t overly paranoid though. It´s still the reason I didn´t take any pictures of the city. St George’s Cathedral is lovely, if a little less pristine than this image shows. Its a shame i couldn’t take a photo though. As a city, Georgetown doesn´t have too many real attractions. I spent my first couple of days there seeking these out, attempting to get my bearings now I was over the other side of the world. I was also hoping to increase my confidence, easing myself into the shallow end. Thus, i ended up in Starbroek Market. They say that only the brave enter Starbroek Market. Or the stupid. We all know which I am though. In and amongst the other sights such as the elegant, if dilapidated colonial St George´s Cathedral and the disappointing Promenade Gardens, I booked a trip to Kaieteur Falls (or just Kaieteur as i later learnt; teur means falls). Throughout Georgetown my taxi drivers were friendly and had interesting stories to tell and the driver who took me to the airport to book the trip was no exception. For the purposes of the narrative, I shall refer to him as Gerald, not because he preferred to keep his name a secret, but because I have a terrible memory for names. Gerald lived in the Essequibo region of Guyana, that which surrounds the coastal area of South America´s third largest river. It was somewhere I had originally intended to go, but due to scheduling conflicts with other arrangements i had been trying to make, I had ruled it out of my itinerary. From what he told me though, this may have been a mistake. 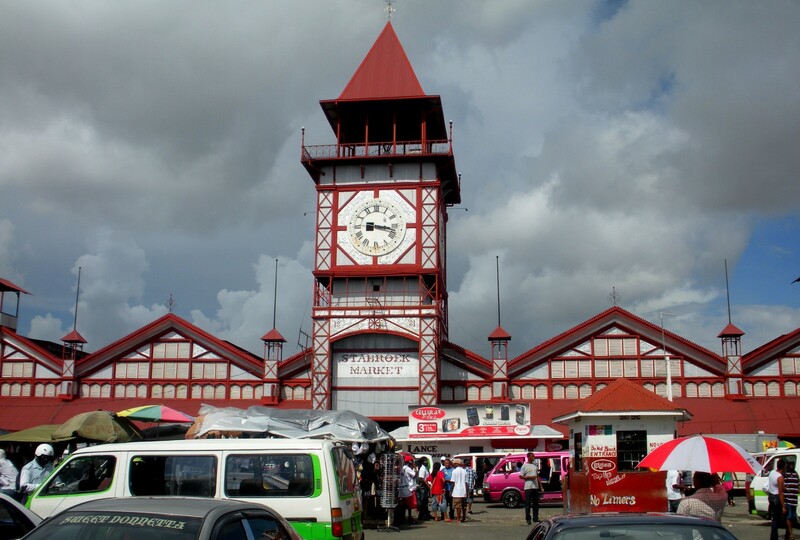 Unlike Georgetown, he said, his area of Essequibo was a picture of tranquility, where rubbish didn´t line the streets and crops grew everywhere. He worked in Georgetown due to a lack of job availability, but his dream was to be a beekeeper. The rest of the journey, airport and back, was spent listening to his plans regarding beekeeping and the knowledge and enthusiasm he had for bees. Grow mango trees nearby, and your honey will have a hint of mango. This enthusiasm was an aspect I found almost everywhere I went. Just about everyone I talked to had never left Guyana, and merely struggled to make ends meet. 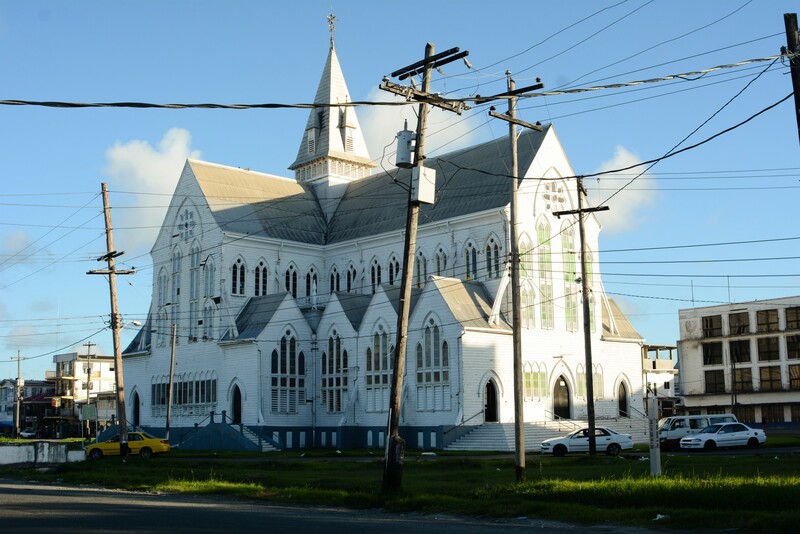 All loved Guyana though, and had no wish to live their lives anywhere else. More than anything else, I think that it is the unrestrained enthusiasm of those living in Guyana that encapsulates it best. August 2015, City Exploration, Danger, Paranoia, Taxi Drivers. Bookmark. A bit less cockiness wouldn’t go amiss young man. I can’t help my brutal honesty any more than I can my amazing feats.